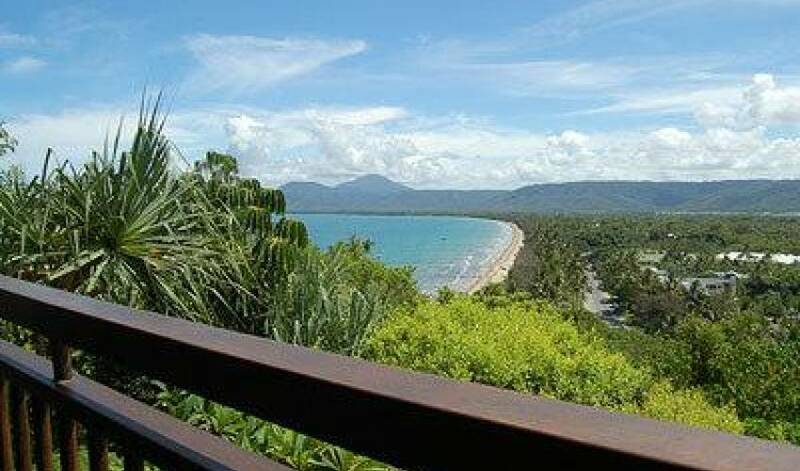 Perched high on the most easterly point of Flagstaff Hill, this prestigious home offers unparalleled views of The Coral Sea, Four Mile Beach and the magnificent rainforest mountain backdrop that surrounds Port Douglas. 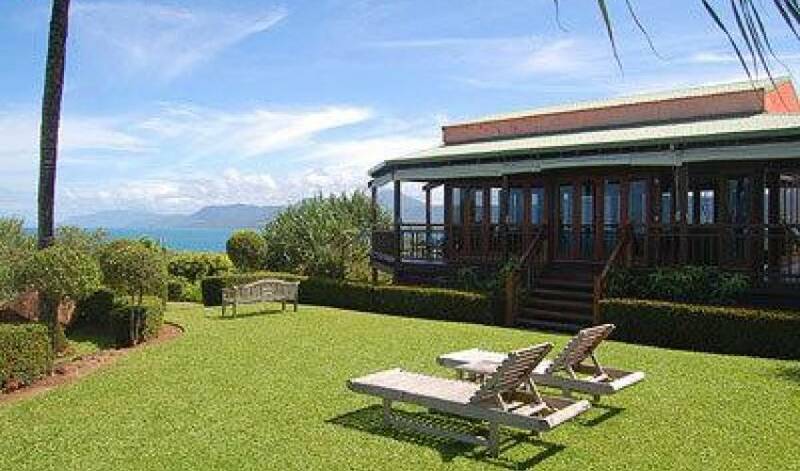 From the sun-drenched secret garden to the private eagle view verandas, this sprawling five bedroom residence provides a luxurious and delightful holiday venue with direct beach access via steps at the bottom of the driveway. 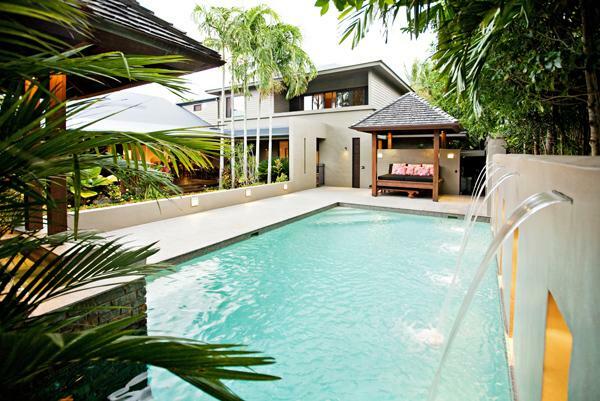 Divided into two pavilions, joined by expansive wrap-around verandas, the house can be opened up to the elements on warm tropical days, or closed to create cosy intimate spaces. 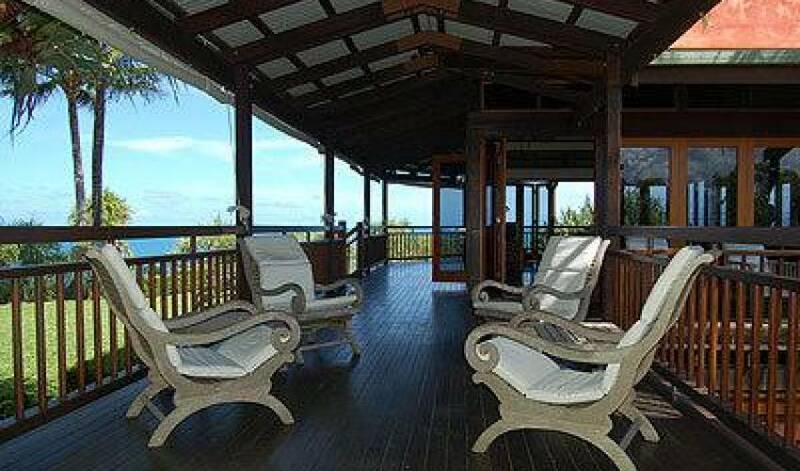 With an emphasis on relaxation, there are two living areas; one, occupying the whole top floor of the eastern pavilion, is open to the view on three sides and the other, located next to the kitchen, has a focus on media entertainment with TV, DVD, Austar and a broadband internet connection. 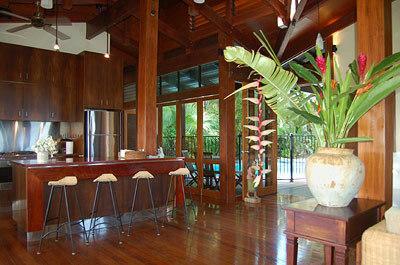 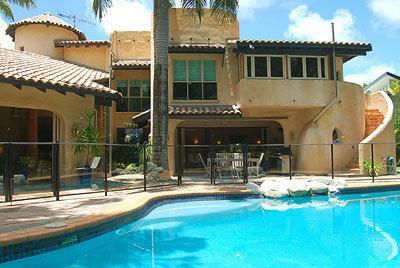 The large, modern kitchen, centrally located, services both veranda dining and a sunny breakfast nook by the pool. 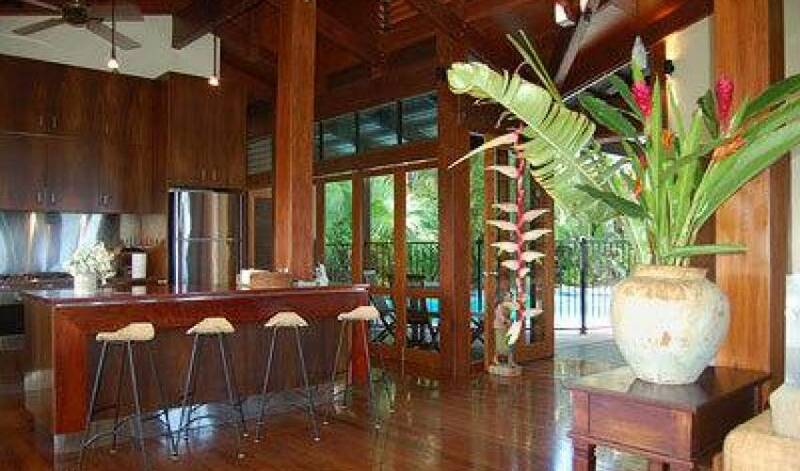 State of the art appliances and a central control hub for lighting and fans means atmospheric changes are just a fingertip away. 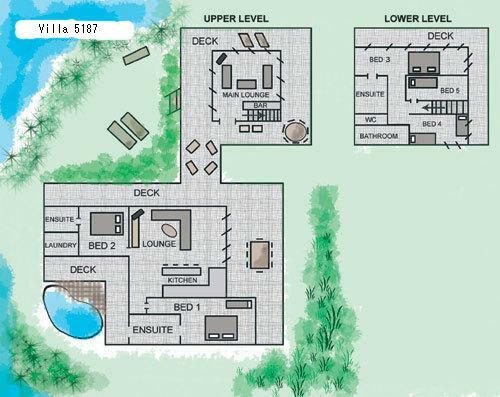 All three master bedrooms come complete with en-suites and offer a variety of perspectives. 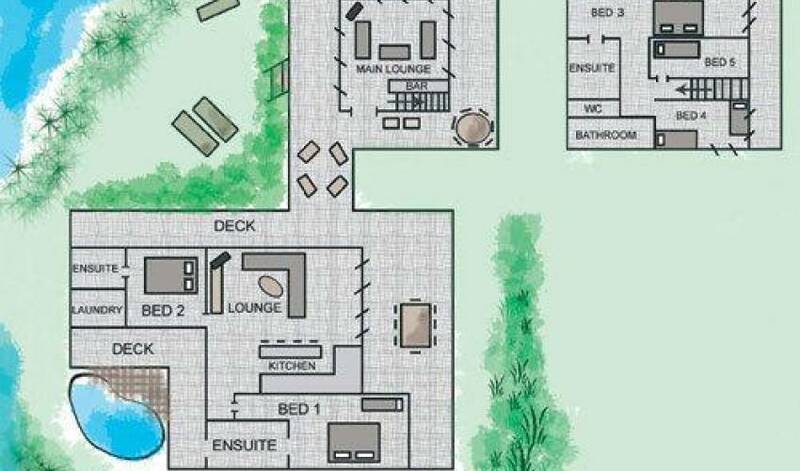 The three single beds all share a fourth, family sized bathroom. 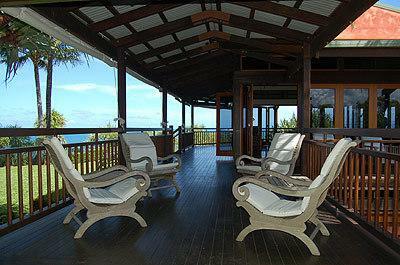 The spacious landscaped grounds and wide covered verandas offer a plethora of relaxation choices and view gazing. 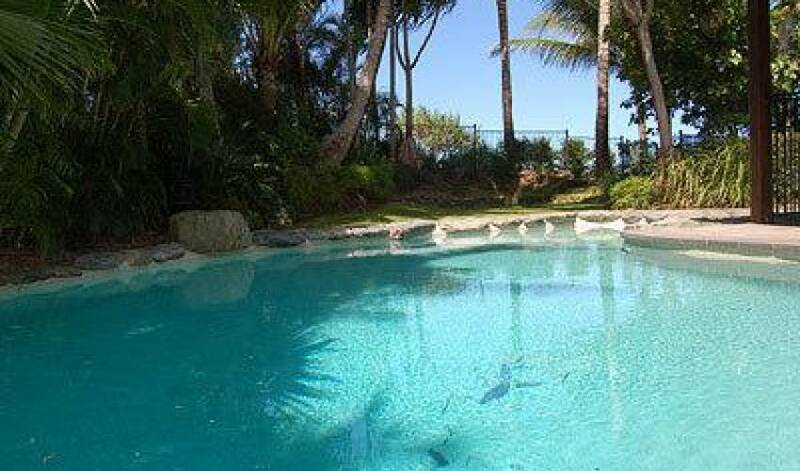 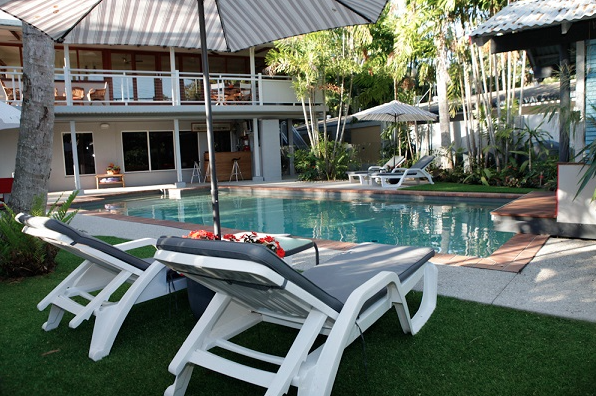 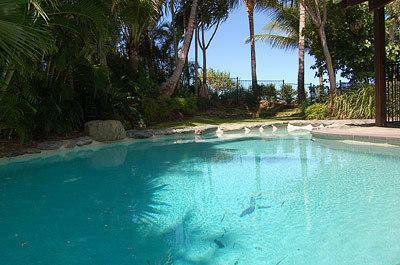 At the rear of the house, the in ground pool invites a cooling dip after a day on the beach or at the reef. 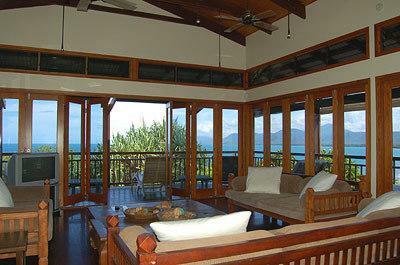 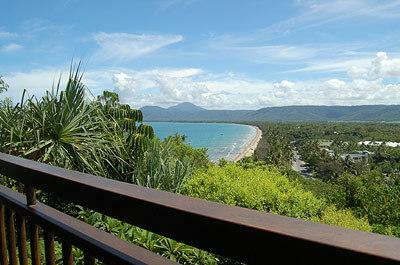 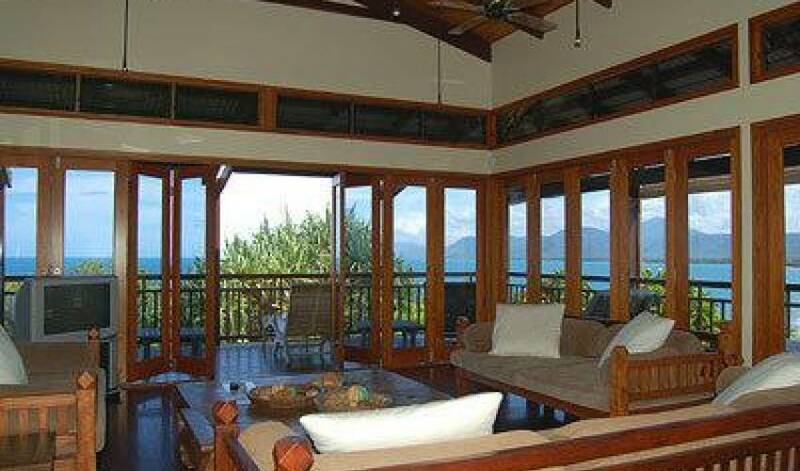 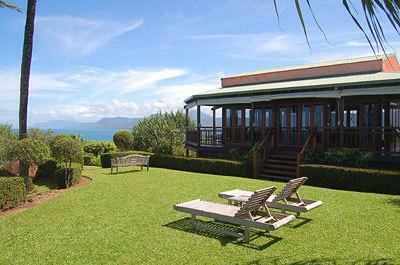 From your veranda vantage point watch the sun rise and set over the tropical playground that is Port Douglas.